Why is the Fiat 500 so popular? You are here: Home / Motoring News / Why is the Fiat 500 so popular? The Fiat 500 is an iconic Italian car. In its first life it sold nearly four million units and became a symbol of the compact and sophisticated city car, before it was discontinued in 1975. It was brought back to life in 2007 as a modern, front-wheel drive model that is slightly bigger and heavier than the original. Over the last decade the Fiat 500 has expanded its range and introduced a few higher performance models such as the Abarth versions. It has slowly become a popular car on our roads and has a wide appeal to many types of drivers for various reasons. Recently at the Geneva motor show Fiat Chrysler Automobiles (FCA) CEO Sergio Machionne commented that much of the brand’s future plans are based around the Fiat 500 family. Overall Fiat had experienced a drop in sales to less than five per cent in Europe but it intends to tackle this by expanding the current Fiat 500 range. Fiat 500: The traditional model, there’s also the 500C which is a soft top, the 500-60th that takes a more 60s inspired look and the 500 Anniversario special edition. Fiat 500L: Taking the Fiat 500 style and expanding it into a more saloon/estate style with five doors, aimed more at families. Fiat 500X: An SUV, the Fiat 500X is designed with off-road capabilities in mind but perfectly adept for city as well as country driving. The expanded range means there’s now a model to suit almost every driver, rather than just appealing to urban drivers who don’t require much space in their car. As a compact car it’s no surprise that all models of the Fiat 500 have excellent fuel economy. It may not have the lowest purchase price when new, but the lower cost for fuel is advantageous, especially for new and young drivers. The three-year warranty comes as standard and it has proven itself as a reliable vehicle with relatively low maintenance costs to boot. Aside from the costs, the Fiat 500 is great fun to drive. For some drivers that will be the main thing that matters and could be a reason the vehicle is popular with young drivers. Tight and precise steering is complemented by the amount of power such a small car can generate. It depends on the exact trim, but most are nippy little cars. At the Chicago motor show it was announced that a turbocharged engine will become standard for all new Fiat 500s. The newest 1.4-litre turbo-4 engine models will deliver a third more horsepower, while the high-performance Fiat 500 Abarth will continue with its 160hp turbo-4 engine. The Abarth is the top-performing hot-hatch with four different engines available currently. Each has a 1.4-litre turbocharged four-cylinder petrol engine with the most powerful delivering 190bhp (in the 695 Biposto model) and can get from 0 to 62mph in 7.9 seconds. It’s not quite Ferrari levels, but for a hot-hatch that’s not bad. 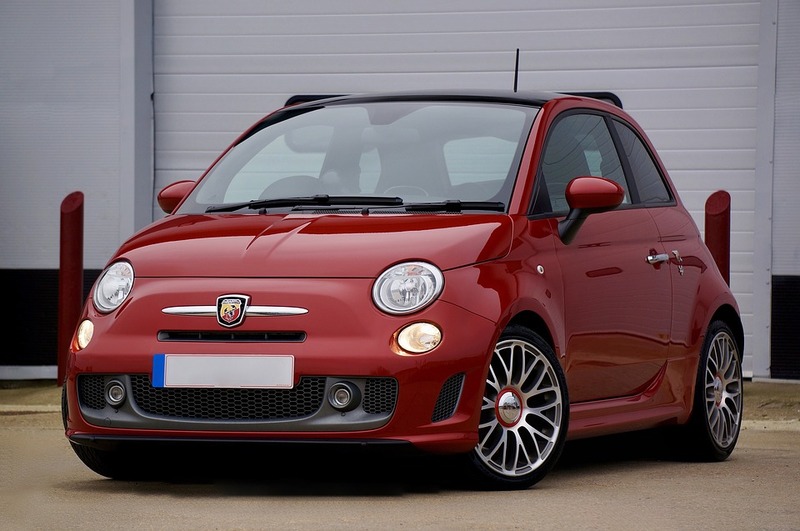 Deciding whether to buy a new or used Fiat 500 is pretty similar to purchasing any car. The benefits of buying it new are that you get a three-year warranty, it won’t be damaged at all and should last for many years. However, the higher price tag can be off-putting. A second-hand Fiat 500 can be a better choice due to the reduced cost of purchase. As a reliable vehicle these should be safe to drive for many years (depending on the age and mileage). Taking out a HPI check or buying a model that comes with one is advisable, to avoid any hidden issues cropping up after buying one. As the automotive industry gets set for some big changes, with the UK banning the sale of new petrol and diesel cars from 2040 onwards and other countries doing similar, the next step could be an electric model of the Fiat 500. Already there is one electric-battery model but it’s only on sale in California and Oregon, to meet regulations. However, it’s highly likely this will be adapted, expanded and included in future ranges of the Fiat 500. The Fiat 500 has proven a popular car for many drivers since it was brought back to life and could be a good model for anyone seeking a new or used car.